John Mankins has spent his professional life working on novel ideas that could transform the way humans use technology in space, solar power among them. But Mankins' interplanetary musings went beyond the way solar is already used to power satellites and the International Space Station. During a 25-year career at NASA and CalTech's Jet Propulsion Laboratory, he devised multiple concepts to extend the use of solar in space, among them a solar-powered interplanetary transport vehicle and a space-based power system. As the two geopolitical foes increasingly turn their attention to a technological and military race beyond the earth's atmosphere, space-based solar power projects are an overlooked, often criticized idea. 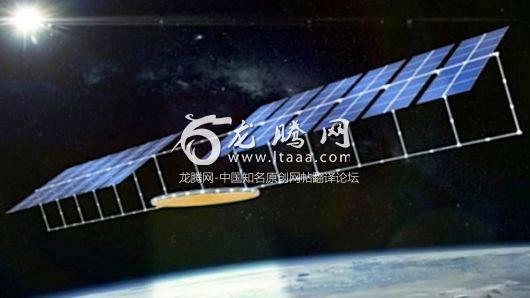 But with China recently announcing that within the next decade it expects to finish the high voltage power transmission and wireless energy tests that would be needed for a space-based solar power system, the concept is likely to get renewed attention. A space-based solar power station would capture the sun's energy that never makes it to the planet and use laser beams to send the energy back to Earth to meet energy demand needs. 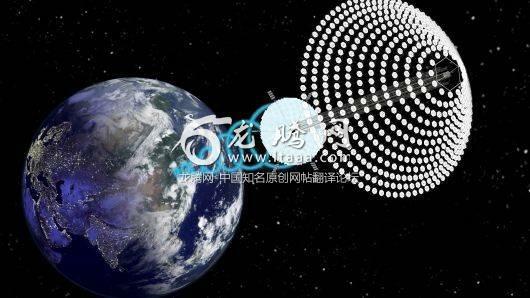 China said in a recent announcement about the project that a big advantage of space-based solar power is its ability to offer energy supply on a constant basis and with greater intensity than terrestrial solar farms. One of the issues with renewable-energy projects like solar and wind power plants are their intermittency — that refers to the fact that the sun isn't shining and the wind is not blowing 24-hours a day, limiting the periods of time during which these projects can be a source of power generation. ark Hopkins, National Space Society A slide from a presentation Chinese scientists made in South Korea showing an early design idea for a solar power project in space that could beam energy back to the Earth. Space-based solar would not only offer a solution to intermittency, but also delivery. Today, utility power generation is regional, if not local, but electricity generated in space and near the equator could be beamed almost anywhere across the globe, except for the poles. "You could beam electricity from Canada to the Tierra del Fuego at the southern tip of South America from a satellite at equator," Mankins said. Roughly one billion people live in the Americas. 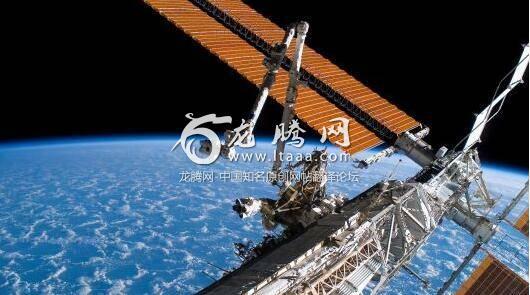 Hopkins said the current Chinese view is, "We want to be major dominant power in space solar power by 2050. This has the potential to really turn the geopolitics in our favor if we are a leader, so let's look at it seriously." Meanwhile, the U.S. says, "Are you kidding? Let's worry about something else." Historically, the cost of rocket launches and the weight that would be required for a project of this scale, made the idea of space-based solar unfeasible. There are scientists who still hold that view today. "The energy, mass and cost budgets involved show that this is a losing proposition, not just now but perhaps for centuries to come," said Olivier L de Weck, a professor of Aeronautics, Astronautics and Engineering Systems at the Massachusetts Institute of Technology. "The energy we need to put in to launch the mass required for the SBSP [spaced-based solar power] station is so enormous that we may never recoup it." 麻省理工学院航空、航天和工程系统教授奥利维尔· l · 德韦克说,"能源、质量和成本预算表明，这是一个失败的主张，不仅是现在，而且可能是未来几个世纪都是"。 "我们需要投入巨大的资金来发射SBSP (基空间太阳能发电站)所需的质量，我们可能永远无法收回。"
Mankins said this view is becoming quickly outdated due to a dramatic lowering of rocket launch costs through efforts funded by billionaires including Tesla founder Elon Musk's SpaceX and Amazon founder Jeff Bezos's Blue Origin. Meanwhile, developments in robotics and modular-manufacturing — being able to produce many small modular pieces to make a whole rather than one huge piece of equipment — could lead to cost-effective ways to construct these projects in orbit without having to build a multi-billion-dollar factory in space. He referenced a major review conducted by the federal government in 1981 that when looked at in today's dollars would have cost up to $1 trillion to deliver the first kilowatt/hour of solar from space. "The whole program was killed in the U.S.," he said. Now the studies conducted on feasibility are decades old and simply no longer relevant to the discussion, Mankins said. "Whenever a gray-haired senior scientist tells you something can be done, they are almost certainly right. When they tell you it can't be done, he or she may very well be wrong," he said, referencing an adage by science fiction author Arthur C. Clarke from his famous "three laws." "We have had a revolution in robotics, drones and warehouse robots that didn't exist. Previously, the whole thing had to be built as one huge system, an enormous thing like a aircraft carrier shipyard in space to fabricate one enormous object weighing 10,000 tonnes rather than 10 million small units each weighing a few pounds that can use mass production," he said. "We no longer need a stupendously huge factory in space and hundreds of astronauts to put it together. The whole world, other than the space program, has moved forward to mass-produced modular network devices. That's the way you would do it, and it was unthinkable 40 years ago, but suddenly it is physically, technically and economically doable." "我们在机器人技术、无人驾驶飞机和仓库机器人方面进行了一场革命，那时还不存在这些技术。 以前，整个系统必须建成一个巨大的系统，一个巨大的东西，就像航空?#38468;?#22312;太空中制造一个重达10000吨的巨大物体，而不是1000万个可以用于大规模生产的重几磅的小单元，"他说。 "我们不再需要一个巨大的太空工厂和数百名宇航员来组装它。 除了太空计划，整个世界都在向大规模生产模块化网络设备迈进。 这就是会做的事情，40年前这是不可想象的，但突然之间，它在物理、技术和经济上都是可行的。"
American scientists are tinkering with the idea to this day. A group at the California Institute of Technology claims to have created a prototype that is able to capture and transmit solar energy from space, using light weight tiles, work sponsored by a $17.5 million research agreement with Northrop Grumman. Weight has always been a key issue to resolve because of the cost of rocket launches being based on weight of cargo. Thin film solar panels are lightweight, which reduces launch cost. Though as launch costs come down it may be less of a make-or-break issue. Thin film may also have a structural advantage in space — the lighter weight is no issue in the zero-gravity environment. Other nations are exploring the concept. In India and in Europe scientists are working on additional concepts for solar based power in space. Japan's JAXA, an aerospace exploration agency, has been researching how to overcome technological barriers, such as microwave wireless power transmission tech and robotic assembly tech. The most important U.S. effort underway today is arguably the one being conducted by the U.S. military, which received $178 million in its current fiscal year to explore space-based solar power. "If the plan is to capture solar energy in space, that means the total amount of solar energy going into earth goes up, that increases the earth's temperature," Hughes said. "Now of course that depends on how much energy is being brought in. It only becomes a problem when the area of the solar connectors in space becomes comparable to the size of earth." Mankins said there are significant risks for the planet that need to be considered, including an increase in temperature and unintended consequences for various forms of life. "There is a reason birds like to sit on utility wires." But it is no different that worries about UV rays, and the concerns are "not known showstoppers." He said the length of microwaves being contemplated for these projects do not pose a significant health risk. He also studied the global warming argument in detail and said it is a fact that beaming power from space to the earth will have an impact on surface temperatures. But when you look at how efficient the delivery of solar from space could be versus the addition of more coal-powered, natural gas-fired or diesel power generation, the resulting greenhouse gas emissions are still much lower. "One thing the Chinese are really good at is thinking long-term, unlike U.S. thinking, out 50 years about this stuff. They have no problem thinking like that." Michael Byers, a professor in the department of political science at University British Columbia Vancouver says the biggest problem for this concept may be a matter of time. Space-based systems might well be possible several decades from now, but Earth-based systems are already catching up to fossil fuels in terms of cost and efficiency. "You can put solar panels just about anywhere. Rooftops are the most obvious location, and in some jurisdictions all new buildings must have solar arrays. Lots of small projects are better than a few big ones, since they provide greater resilience to equipment failures and weather events," Byers said. National Space Society director Hopkins said that kind of thinking — coupled with the U.S. government's inability to think long-term in its planning — may be the biggest risk of all. He said that current views in the U.S. on the topic tend to fall into one of two camps. "People in the U.S. tend to look at it as, 'At least the Chinese are doing it, and if the Chinese are doing it, then we are likely to do it at some point because we don't want them to lead.' Others are saying, 'If they get this right and we don't, we are in big trouble.'" Hopkins added, "One thing the Chinese are really good at is thinking long-term, unlike U.S. thinking, out 50 years about this stuff. They have no problem thinking like that. When I talk to NASA about anything more than 10 years out, they sort of look up in the air and roll their eyes, and I'm not invited back."